Cozy up on chilly game days with the Raiders French Terry Space Dye Full Zip by 5th & Ocean! 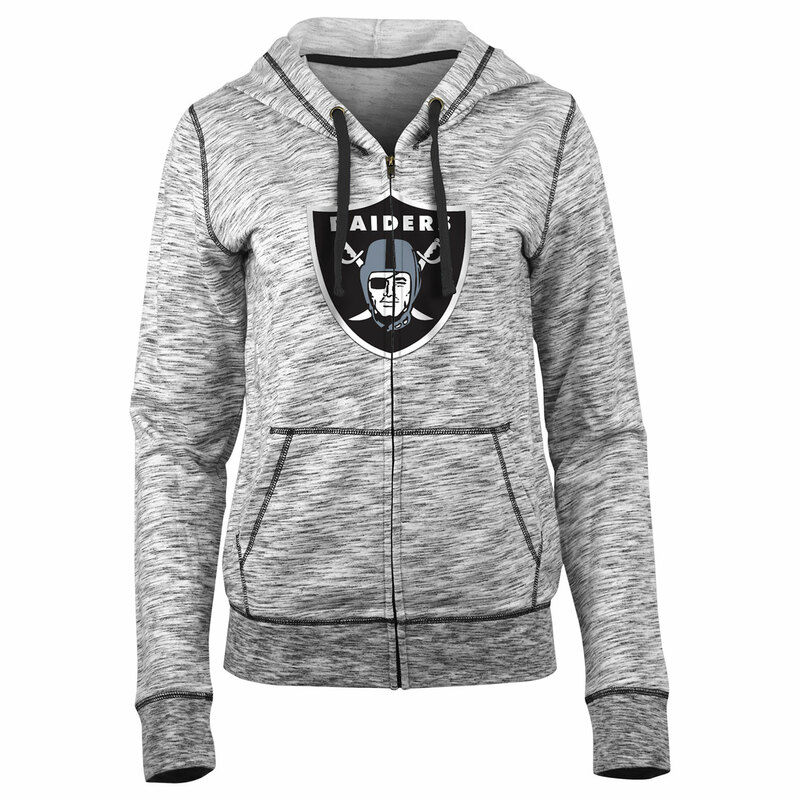 This hoodie features a satin twill applique Raiders� shield logo on the chest, over heather grey space dye. 60% cotton, 40% polyester.